We previously reported on the first glyphosate exposure case to go to a jury trial where a California jury awarded a former school groundskeeper $289 million. Of the $289 million award, $250 million were for punitive damages against Monsanto. On Monday, the judge who presided over the trial slashed $211 million off of the punitive damages award, bringing the total award down to $78 million. The $211 million reduction was based on the judge’s finding that the jury’s punitive damages award had to be reduced in order to protect Monsanto’s due process rights. On plaintiff Dewayne Johnson’s claim for punitive damages, he was required to prove, by clear and convincing evidence, that an officer, director, or managing agent of Monsanto acted with malice or oppression in the conduct that gave rise to its liability. Monsanto argued that there was no clear and convincing evidence that a managing agent authorized malicious conduct or had a conscious disregard for safety. While the court agreed with Monsanto, it also found that the plaintiff was not required to identify a particular managing agent if he could demonstrate by clear and convincing inference that the company as a whole acted maliciously. In other words, the “managing agent” requirement could be satisfied by finding a “series of corporate actions” that advanced a glyphosate product rather than specific conduct by a high-level official at a particular period in time. 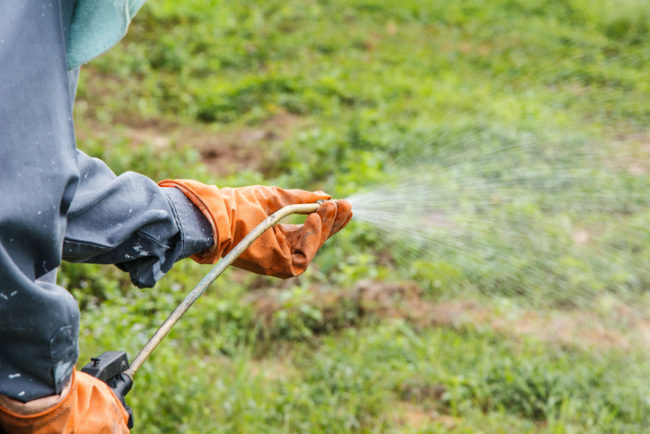 The jury had found that Monsanto’s decision to continue marketing glyphosate-based herbicides despite a potential link with non-Hodgkin’s lymphoma constituted corporate malice for purposes of punitive damages. Under California’s punitive damages statute, malice does not require an actual intent to harm. It may be sufficient to show that the defendant consciously disregarded the safety of another by being aware of the probable dangerous consequences of his or her conduct and willfully failed to avoid such consequences. Punitive damages have been upheld where a defendant has failed to conduct adequate testing on a product. Such damages have also been upheld where there was a “reasonable disagreement” among experts. Here, the court ruled that the jury was entitled to reject the claims of Monsanto’s experts and award punitive damages. However, the U.S. Supreme Court held in State Farm Mut. Auto. Ins. Co. v. Campbell that punitive damages are limited by the Fourteenth Amendment of the U.S. Constitution. In evaluating whether a defendant’s action warrants the amount of punitive damages that a jury awards, the court has to consider three factors: (1) the degree of reprehensibility of the defendant’s misconduct; (2) the disparity between the compensatory damages award and the punitive damages award; and (3) the difference between the punitive damages awarded by the jury and civil penalties authorized in comparable cases. Regarding the second factor, the court found that under the circumstances of this case, the appropriate ratio between compensatory damages and punitive damages should be reduced to one-to-one. It found the second factor to be dispositive because the level of compensatory damages awarded to the single plaintiff in the case – $39,253,209 – was extremely high and consisted largely of non-economic damages, which due process case law recognizes has a punitive element. The court noted that in enforcing due process limits on punitive damage awards, it did not replace the role of the jury, but served to only act as a check on arbitrary awards. The punitive damages award was reduced to the same amount as the compensatory damages, making the total award $78.5 million. Monsanto has also requested a new trial on punitive damages. The court has said that request will be denied if the plaintiff accepts the smaller punitive award. If he does not accept the $39 million punitive award, then the court will set a new trial on the issue of punitive damages. What’s also looming in the background? The more than 8,000 glyphosate exposure cases awaiting trial in state and federal courts.